Σχεδιασμένο για ταξίδια τόσο επαγγελματικά όσο και διασκέδασης, το Trinity Family Inn είναι ιδανικά τοποθετημένο στη Nyaung Shwe, μια από τις διασημότερες περιοχές της πόλης. Μόνο μακριά, αυτό το 3 αστέρων ξενοδοχείο είναι εύκολα προσβάσιμο από το αεροδρόμιο. Από τη βολική της τοποθεσία, η ιδιοκτησία προσφέρει εύκολη πρόσβαση σε κορυφαίους προορισμούς της πόλης. Όλα γίνονται με γνώμονα την άνεση των επισκεπτών. Για τον σκοπό αυτό, η ιδιοκτησία προσφέρει ό,τι καλύτερο όσον αφορά τις υπηρεσίες και τις παροχές της. Για την άνεση και την διευκόλυνση των πελατών, το ξενοδοχείο προσφέρει δωρεάν WiFi σε όλα τα δωμάτια, 24ωρη φύλαξη, παντοπωλείο, υπηρεσία εισιτηρίου, υπηρεσία ταξί. 9 δωμάτια μοιρασμένα σε ορόφους παρέχουν ένα ζεστό και ευχάριστο σπιτικό μακριά από το δικό σας. Σε επιλεγμένα δωμάτια θα βρείτε μοντέρνες ανέσεις όπως δωρεάν ποτό καλωσορίσματος, λευκά είδη, καθρέφτης, παντόφλες, πετσέτες. ΟΙ ψυχαγωγικές δραστηριότητες του ξενοδοχείου, οι οποίες περιλαμβάνουν τις ψάρεμα, είναι σχεδιασμένες για να χαλαρώνετε και να ξεφεύγετε. Απολαύστε τις ασύγκριτες υπηρεσίες και μια πραγματικά περίβλεπτη διεύθυνση στο Trinity Family Inn. Early check-in, arranging tour and taxi with a good guide and a driver, I can't expect more hospitality than what I got here with friendly staff, except the dog which was scared of me until I checked out. This hotel was probably my best hotel among small size, family-owned ones I've ever stayed in the world. The service is excellent. The place is comfortable and the room is big. They helped us to book the hiking guide, driver to Kakku and boat trip and offered advice on itinerary planning for the days we were at Inle. Breakfast was very nice with vegetables, local steamed rice with beans, egg, fruit juice (different every day), pancakes. The response over email was very fast. 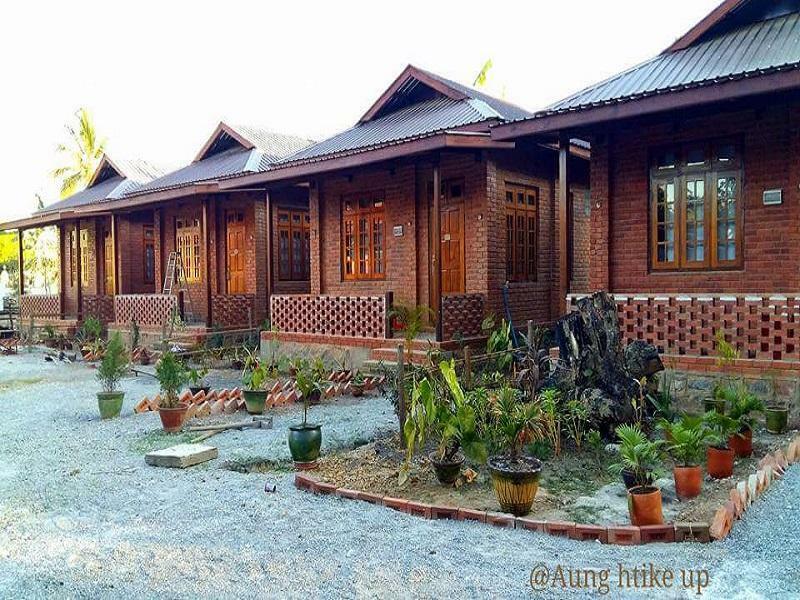 If you are spending the night in Nyaung Shwe, look no further. 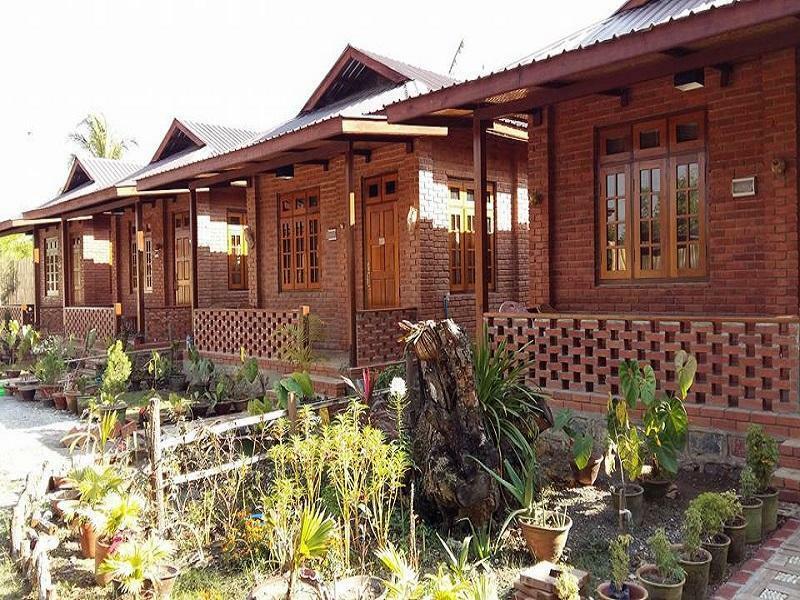 This is absolutely the best hotel for your money in Nyaung Shwe. Pros: Owner operated and owner on premise at all time and always available to assist you with a smile. Big and clean rooms in a Safe and quiet location. Super Friendly and top notch service from all the staff. (They will assist you with anything you need for your tours, transportation service, etc,) Free bicycles. Awesome breakfast!!! Cons: Nothing really., except for the room we stayed at, hot water is a little bit sensitive to adjust to get the right temperature. Our stay here was wonderful. Great breakfast, super attentive family who helped with every little thing we needed. We truly felt welcomed and wanted. Will definitely recommend and will come again. The best hotel in Myanmar!! The whole stayed was very pleasant, and we’d definitely come back and recommend it! We arrived by night bus early in the morning and they allowed us an early checkin and got in the room at 6am! They have free bikes available for use as well and breakfast is very good and well serviced! It’s a family inn and all people here were extremely friendly and super helpful!! We thoroughly enjoyed our four nights at the Trinity Family Inn. The owner Ma Htrei is informed, extremely helpful and charming. She gave us very useful recommendations for restaurants and a boatman and transfers to and from the airport. Everything she recommmended worked well. Try the Thanaka restaurant for clean, tasty food and pleasant staff. The boatman, Ko Ba Soe, was a delight. His English was good so that we did not need a guide. He took us to many interesting places. The boat was equipped with raincoats, water and u The accommodation was clean, roomy and comfortable, with hot water and air conditioning. Breakfasts were plentiful and interesting, with a mixture of Shan and European dishes. We were welcomed with a cup of tea and smiles. We liked the fact that all the staff at the Inn were female. Ma Htrei charged very reasonable prices for laundry and snacks. We were farewelled with small gifts. We recommend this Inn and will definitely return if we have the opportunity. I had the most wonderful stay at Trinity Family Inn. Got in early morning via night bus, they were kind and able to let me have my bungalow right away. I was so sick from the bus ride but the entire staff (especially Khin Htwe who is an angel) made sure I was well taken care of, feeding me and giving me tea. The bungalow was perfect! Very clean, spacious and peaceful! Breakfast included was amazing!! One of the best I have had during my two months travel in Southeast Asia. They also set everything up for my all day tour around the lake, making my stay very very easy! I would recommend Trinity Family Inn again and again, and will be staying here every time I come to Inle! Thank you thank you!! This place was really amazing! We’ve stayed at Inle lake for 4 days and trinity inn absolutely made our stay unforgettable. We travel frequently and also in premium hotels. But this is one of the best ‘hotel’ experiences we’ve had in years. We experienced real hospitality here. Absolutely very high value for money. The place is run by a lovely family. The owner speaks very good English. She is so helpful and can arrange the trips you want to do for a very good price. The cottages are perfect. Very large, clean and it has everything you need. 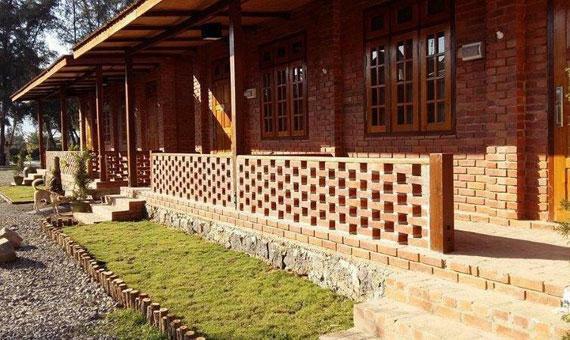 The nicest thing about it is the veranda where you can sit, relax and read a book. The atmosphere is so tranquil. Location is perfect. Nearby all the restaurants at the busy part of the village but far enough away to feel an oasis of peace. Breakfast is good, fresh made, and a mix of western and local. We loved the pancakes! The coffee they serve is also perfect. They took really good care of us and made sure that we’ve had everything we needed during our stay. Highly recommend this place when you visit Inle lake!! Ma Htwe, the lovely lady who runs this establishment is simply a very nice human. She makes you feel very at home, takes care of you in terms of activities and food! Lovely home cooked food - I have lived in Myanmar for nearly a year and this was one of the best meals yet. I travel with very demanding parents who ask a lot of questions and make a lot of random requests, all were fulfilled and seemingly very nicely too. Me and my family still talk about Ma Htwe's kindness days after we left, she was easily the biggest part in making our very very rainy Inle trip enjoyable! So thank you :) Trinity Family Inn really has everything you need and more! We have continusouly stayed at 5 star hotels after this, and nothing comes close to Trinity Family Inn. If you travel to inle you must stay here! The owner was os so lovely! she helped us get around inle and organised a boat tour and our bus to bagan! The breakfast was so yummy! Different varieties everyday. Good restaurants near by that the owner recommended. There is also bicycles that you can ride all day long which is a great was to get around inle! i could not recommend this place enough! Very kind family renting clean, well-appointed bungalows. The owner's first order of business when we arrived was to sit down with us and help us plan our itinerary. Armed with a stack of double-sided maps and a chatty, rapid-fire sensibility, she helped us brainstorm where we wanted to go and how we could string it all together. Trinity also serves local coffee in individual French presses (the owner is friends with the family that runs the coffee plantation). This was such a welcome change from the instant, 3-in-one coffee we'd been drinking elsewhere. I planned to stay here because of the glowing reviews for the staff, and I was not at all disappointed. 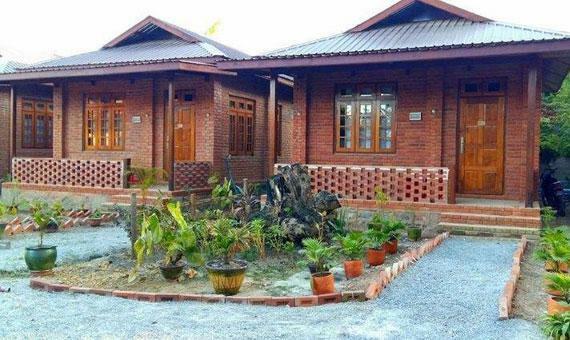 I have so much praise for this Guest House, its owner Ma Htwe, and her staff (all family). My stay was perfect from the warm and welcoming arrival and departure, the useful information provided, the spotlessly clean and comfortable accommodation and surounds, and the 3 delicious meals I enjoyed. This is hospitality and generosity unlike any other I have experienced elsewhere in Bagan and now on Inle Lake. I only left the guest house to connect with a friend and enjoy the ‘on lake’ experience. None of my higher-end hotel experiences, including food, have been anywhere near as good as the stay at Trinity Family Inn. ..... The attention to detail that Ma Htwe and her staff achieve is OUTSTANDING, she deserves continuing success and a chain of Guest houses across the country! The location is probably the most pleasant of all places in the town, and the quietest, overlooking the canal and so easy to locate. I could not fault anything about my stay, book now you won’t regret it! These people are some of the nicest hotel staff I have ever met. It is a family run business owned by locals, who will try to take care of all the needs you may have. Don*t worry about communication problems, the English of the lady who runs the place is really good! I hurt myself when falling into one of these wholes in the pavement (yeah, watch out for them in the dark) and they came with their car and took me to a clean place to see their family doctor. They offer laundry service when you ask for it and also early check-in for those who arrive by night bus. Oh, and the breakfast is delicious! The compound is not really located where all the other touristy things are, but very close to the market. And the town is not big, so you can basically walk everywhere or just lend a bike. The inn was in a quiet area but still very close to the Mingala Market and the main street. Our host Mathwe made our stay in Nyaung Shwe unforgettable. We enjoyed Inle Lake a lot! schöne einzelne Bungalows, groß und geräumig, gute bequeme Betten, Lage sehr zentral und trotzdem ruhig, sehr gutes Restaurant gleich ums Eck. Besitzerin spricht sehr gutes Englisch. Ausgezeichnetes Frühstück. Das Trinity Family Inn und seine Besitzerin Ja Tai können wir nur heiß empfehlen! Hier passt einfach alles. Wir bekamen ein kostenloses Upgrade auf einen größeren Bungalow, unglaublich viel Platz und ein tolles Bad, welches mit allem Nötigen und noch viel mehr ausgestattet ist. Ma Tai liest einem jeden Wunsch von den Augen ab und hat eine Menge gute Tipps. Hier haben wir unglaublich viele warmherzige Menschen getroffen, das Frühstück und besonders der Kaffee war eine Wucht. Wir haben uns für eine Halbtagestour auf dem Inle See entschieden, da die Märkte mittlerweile doch sehr touristisch geworden sind. Das hat auch vollkommen ausgereicht um einen Eindruck zu bekommen. Also immer wieder gerne! Die Bungalows sind groß und sauber. Auf der Terrasse gibt es 2 Stühle und einen Tisch. Die Besitzerin ist unglaublich freundlich und nimmt sich Zeit für Infos über den Inle See. Hat uns auch den Bootsausflug organisiert. Wir haben diesen individuell zu zweit einen ganzen Tag lang gemacht, alles, was wir sehen wollten und haben 25000 kyatt bezahlt. Das Taxi zum Flughafen kostet zu zweit 15000 kyatt. Vom Flughafen wollen sie 25000 kyatt. Wir haben dann mit einem anderen Paar ein Taxi geteilt und haben dann zu viert 30000 kyatt bezahlt. Es wird auch eine Eintrittsgebühr für den Inlesee von 13500 kyatt pro Person verlangt. Die Unterkunft liegt direkt am Markt, der allerdings eher etwas für Einheimische bietet. Der Nachtmarkt, wo es hauptsächlich Essen gibt, ist ca. 500 m entfernt. Die Ortschaft bietet auch nicht wirklich viel und ist nicht schön. Frühstück war gut, auch burmesisch.